To earn the “Turn Up the Techno” badge, one of the activities is to learn something new. You’re supposed to click on the ‘Learn’ tab of the library website to find online classes. So I did, and I ended up registering for a couple of online classes. Well played, Summer Reading Program! I was impressed by the variety of online courses available, accounting, business, and technology to healthcare, languages, and writing. Some of them even offer certificates of completion. 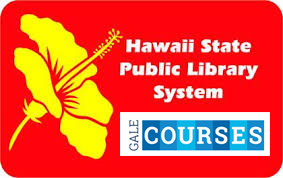 There are a lot of free and paid online classes available, but the Gale Courses are free, have courses I want to take, and – most importantly – let me support the Hawaii State Public Library System. I’m sure that library funding is helped by the number of library users, borrowed books, and services used, so this is a small way to support our public libraries. I signed up for a class in “Spirituality, Health, and Healing.” It is a six-week self-directed, reading-intensive course with a clear syllabus, twelve lessons, a 30-question test at the end of each lesson, and an open discussion area where you can talk with the instructor and other students. There are no assignments, other than some optional self-assessments within the lessons. Other classes may be set up differently. The course covers topics such as the characteristics of spirituality, rituals, culture, assessment, grieving, and aging. It emphasizes that spiritual well-being is the ability to find meaning, value, and purpose in life and thus to feel content, fulfilled, and happy. It teaches students about different faiths in a respectful and inclusive way. The conviction that one of the healthcare provider’s first duties is to inspire hope – not for a cure, but for healing – resonated with me. I work at a small healthcare office, and I am learning that healing is a continual process, a transformative process. The instructors were responsive and encouraging. They also included some self-assessment questions that really made me thing about my own views about life, spirituality, and dying. I think that living in a multicultural state like Hawaii makes some of the material easier to absorb and more familiar. I’ve already signed up for a few other classes over the next months (and I earned the “Turned Up!” badge). If anyone is in the “Leadership” class, maybe we’ll meet up in the Discussion Area. Have you ever completed an online class? Do you think that online classrooms are effective? Which courses would you recommend? My son finished sixth grade in May. Summer is half over, and I wanted to take a few minutes to reflect on our sixth grade experience. I knew that sixth grade would be a time of big changes for my son – and for us. He would be testing his independence and challenging us even more. It’s a year earlier than when I went to school, when sixth grade was still considered elementary school. More complicated schedules. My son’s schedule was different every day, with six different schedules A-F. At first, he didn’t like it and had a hard time adjusting. 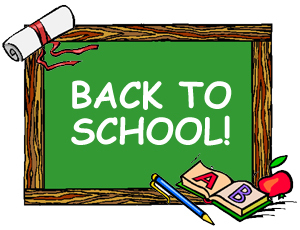 About five weeks into the school year, the schedule started to click. Ultimately, the six-day schedule let him participate in more classes than in a regular Monday to Friday week. More homework, less sleep. It seemed that he had a lot more homework than in fifth grade. Other students told him that his teacher was one of the stricter teachers in sixth grade (which should make seventh grade less stressful). He spent less time using his planner, which meant more last-minute work. He spent more time with his humanities and social studies work, which made his performance in math and science falter a little. We asked him to write a plan for improving next year. First time away from home, alone. I’m sure it was more traumatic for us, than for him. The house was so quiet when he was gone. Even our yellow lab was more subdued. He wasn’t excited to go to camp, but he came back full of enthusiasm. He had a great group of camp counselors who made him feel welcome. Chapel. He attended chapel every two weeks, but the focus was more on building character and promoting understanding. The highlight was a skit that each class had to perform. The class had only a limited time to learn songs and choreography, and then they performed in front of the rest of the sixth graders (and some curious parents). 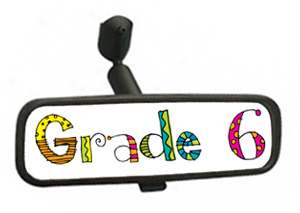 What do you remember about your sixth grade? If you have middle school children, how are expectations about student learning different from when you were in middle school? 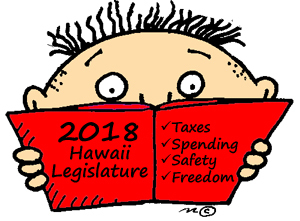 The 2018 Hawaii Legislature is in full swing, with an overwhelming 4,948 current 2017 and 2018 Bills (2,621 House and 2,327 Senate) up for discussion and debate. There are just 60 legislative days to effectively read, discuss, re-write, absorb testimony, and vote on these bills. For the past few years, I’ve read through the bill summaries to find out about the bills being proposed that affect our money, education, and rights. I rely on these summaries to accurately reflect the legislators’ intensions. This year, instead of compiling an overview, I decided to narrow it down to the bills that I think need the most consideration and debate. Last week, I highlighted three significant tax bills to watch. This week, I’m summarizing three significant education issues proposed in the 2018 Legislative Session. If I’ve missed any important bills, please let me know! 1. Should curriculum be imposed top-down? There are five major proposed changes to the K-12 curriculum. The bills include requiring an anti-bullying program; implementing a sexual abuse prevention program; setting civics knowledge requirements for graduating students; offering computer science or design thinking/coding classes, or accepting them in place of a math or science class; and teaching digital citizenship and media literacy. I do not oppose these curriculum changes, but I believe that many of them are already being implemented in schools. I wonder why the Legislature must mandate these programs from above, instead of letting the Hawaii DOE set curriculum policies. Is state legislation required to make these curriculum changes? The Legislature also seems to be unnecessarily managing other aspects of the school day, such as requiring schools to have at least 15 minutes of recess before lunch (SB2385) and requiring schools to provide allow at least 30 minutes for lunch (SB2386). The schools should have the responsibility to reasonably set and adjust their own schedules. 2. Are 3-year olds ready for school? Legislators want to open preschool for 3-year olds, in addition to 4-year olds (HB388 HD1 and SB181). However, not all 3-year olds are ready for structured school. In fact, not all 4-year olds are ready for structured school. 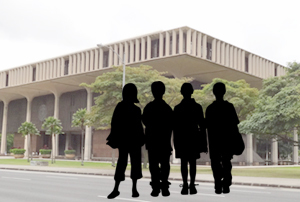 Children may learn better in a home environment, with nurturing parents and caretakers I believe that the Hawaii Department of Education (DOE) needs to focus on its current K-12, undergraduate, and graduate responsibilities, instead of expanding its mandate. 3. How can we promote college attendance? Higher education can lead to better employment opportunities and higher salaries, while lowering the chances of being unemployed and needing government assistance. Legislators are proposing an income tax credit for college savings contributions (HB128 HD1, SB2544), tax deductions for college savings account contributions (SB3062), income tax deductions for student loan interest payments (HB1276 HD1 SD1 and SB1081 SD1), and even paying student loans with pre-tax income (HB958). I am less convinced about another proposed bill, HB373 HD1, which would establish a state matching grant program for resident undergraduate UH students with financial need and whose parents have not earned a baccalaureate or higher degree. I don’t know which bill(s) would be most effective, but I like the intended effects: to encourage people to save for college, and to help recent college graduates manage their college loans and help them gain control of their finances. 4. How can we encourage more teachers to remain in Hawaii? There is a chronic teacher shortage in Hawaii public schools. Only 52% of new teachers in Hawaii stay for five years, according to a Teacher Recruitment Data Report for 2016-2017; and 43% of teachers who resigned from the DOE left Hawaii, according to the DOE Employment Report SY2016-2017. HB2166 has an elegant solution: create housing vouchers for full-time classroom public school teachers. In Hawaii, we may not be able to pay teachers what they are worth, and we can’t do anything about the high cost of living, but perhaps we can make sure that they have an affordable place to live. My son started sixth grade this year. Though I don’t think he has more assignments than in fifth grade, he is convinced that he has more homework – and he feels more stress about it. I’ve heard about the education achievements in Finland. Their high school students scored the highest on the Programme for International Student Assessment (PISA) tests. So I was curious to read “Teach Like Finland: 33 Simple Strategies for Joyful Classrooms” (2017) by Timothy D. Walker, written by an American teacher living in Finland. I liked the fact that Walker taught at both American and Finnish schools, and could compare his teaching experiences firsthand. But I wasn’t looking to improve my son’s classroom; I was looking for ways I could make his homework less stressful. Walker, an Arlington, Massachusetts teacher, admits that he was burning out on lesson plans, teaching guides, and classroom prep. In 2013, he and his wife Johanna moved to Helsinki, Finland. Walker was shocked that Finnish students have fewer hours of classroom instruction and more frequent breaks, and that teachers spend fewer hours on lesson prep and more time creating a peaceful environment. Based on his experiences, school visits, and research, Walker proposes that American schools need prioritize happiness in the classrooms. Walker offers 33 strategies to prioritize happiness in the classrooms, focusing on things that teachers can do today to make a positive difference, without changing school policy. The strategies are organized around 5 ingredients of happiness: well-being, belonging, autonomy, mastery, and mind-set. While the book is written for teachers, I read the book with an eye towards what parents can do to make learning more joyful. Here are three ways to reduce some of the stress of homework. * Schedule brain breaks. Take a 15-minute break for every 45 minutes of instruction. Attention begins to lag after 45 minutes, and taking a break means that students return refreshed and more focused. The brain breaks could be free play, reading, writing, drawing, game time, or a mindfulness exercise; but it should be enjoyable, independent, and new. At home, we can offer children a 15 minute break for every 45 minutes of homework. I tried this with my son – so far, he seems to procrastinate less, because he wants that brain break! * Mindfulness. Take 5 minute mindfulness breaks to create a sense of calm. Students might pay attention to their breathing, listen to the sound of a bell until it stops ringing, or pay attention to how they walk. At home, we can encourage students to do mindful exercises to reduce stress about homework. * Pursue a family dream. The teacher and students jointly decide on a dream together, discuss roles, and learn to compromise. The dream should be shared and realistic, and promote a sense of belonging, teach work, and responsibility. At home, we could decide on a family dream that takes place during a school break, such as a community service, neighborhood awareness campaign, or project. It’s a way to make learning fun, especially if we tie it in with something they learned in school. I’m really excited about this idea, and want to start a “family dream” this summer. 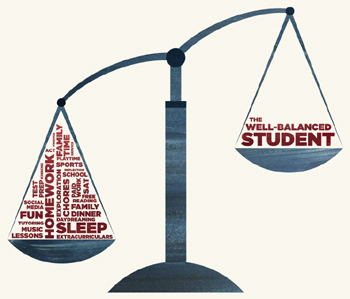 Do you know a student who feels stressed by homework? How can we make homework more joyful? 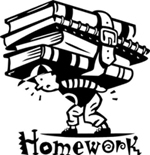 Do you take work home (homework for grown-ups)?